What comes to mind at the mention of Easter? We have a feeling that a feast filled with Easter food at the family table comes to mind or perhaps Easter eggs or even the Easter bunny whom we all love to see pop up as we drive around town or do our Easter shopping offline and online. Speaking of Easter online shopping, we at NetFlorist are the most excited to have Easter come back around this year because all the above-mentioned thoughts, that we are convinced come to your mind at the mention of Easter, are the exact sentiments that we share with you. The weekend long Christian holiday is observed to commemorate and celebrate the Christian belief in the resurrection of Jesus Christ. However, this religious Christian holiday is most certainly associated, world round, with many traditions that are known to make the holiday a blast for the family! And this is where those earlier sentiments come in. What would Easter be without family and food? What would Easter be without scrumptious sweet treats carefully planted by the loveable Easter bunny for kids (and grown kids) to hunt down and gobble up? 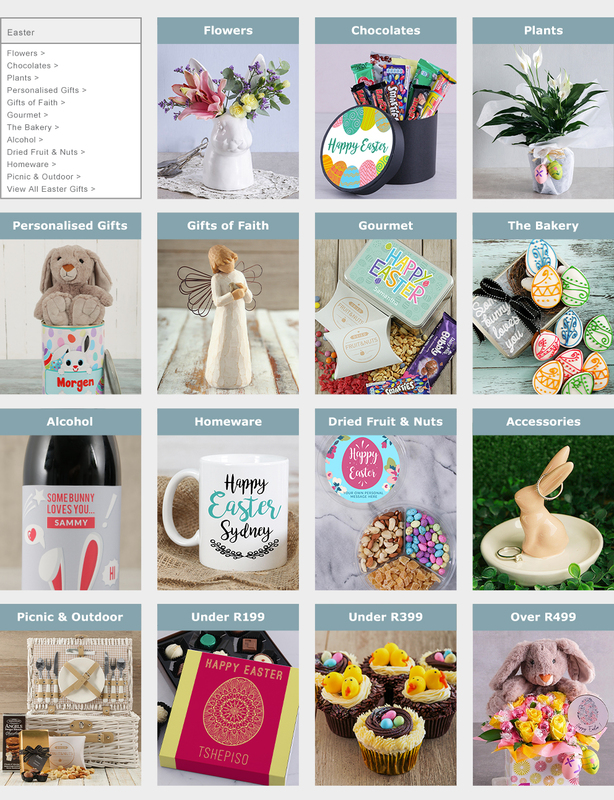 Well, with NetFlorist it could be a season for even more giving through gifts, and you’re in luck because we have an array of categories where you can shop for the best Easter gift ideas to keep the spirit of giving alive during Easter 2019 in South Africa. 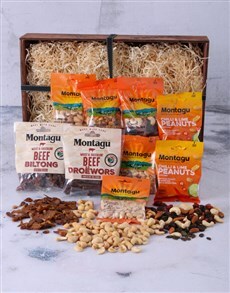 The little kids might love a bunny teddy hamper for a gift while the more grown kids would probably sway more towards exquisite gifts from the Bar. Perhaps, for you, the Easter season is a time to resurrect relationships that mean the most to you. With NetFlorist you can do so with an apology gift, you can thank a loved one with a thank you gift from our list of thank you gift ideas or put a smile on their face again with a beautiful bouquet from our range of lovely flowers. Make the cherry on top of the Easter holiday a special treat from the bakery that the entire family can indulge in together, as family should where cake is concerned. If an edible gift is not the gift you’re looking for then perhaps a gift for a loved one’s home from our range of gifts for the home or a precious piece of jewellery for them to wear from our NetJewel range will put a smile on your loved one’s face and leave them feeling blessed. 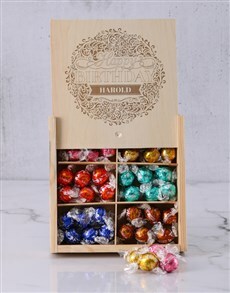 Our wide range of personalised gifts tend to have the same effect on your loved ones too. Make Easter 2019 a season to never forget, with NetFlorist as you choose us to be the Easter bunny that does all your gift deliveries. And as always, whatever you do this Easter, be it with family or friends, just be nice.